As a result of the Beeching Rail Cuts, we secured work with British Rail Property Board, clearing abandoned and isolated Level Crossing Gate Keepers Cottages anywhere in the country; at this we were very successful. One of the consequences of the `Cuts` was the possibility of a disastrous rail crash, as indeed happened at Hixon, Staffordshire in January 1968, when a low loader carrying a 120 ton transformer was crossing a new continental styled un manned level crossing, the low loader driver was not aware of the approaching express passenger train, that was travelling at high speed from Manchester to Euston. 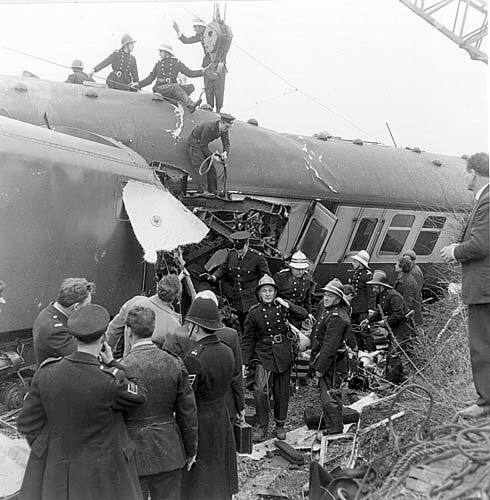 The train smashed into the transporter killing 11, with many more injured and trapped. We were called to provide plant and equipment to assist in making access roads for the heavy cranes to get to the wrecked carriages in which many people were trapped and injured. Before long we were asked by British Rail to supply on hire Side Tipping Tracked Loading Shovels for track maintenance, another new opportunity, my Father, as always, willing to oblige, bought a Caterpillar 955F putting me in the saddle, whilst gladly accepting the challenge little did I realise that the work was mostly on Saturday Nights. (Hoodwinked again) usually from start time of 22:00hrs to completion sometime on Sunday. Each week end the bucket had to be changed from 4 in 1 to side tipper, then changed back every Sunday after the shift, ready for work the next day. After a short time I was driving Low Loaders, which then meant that the machine or machines could be delivered and returned, sometimes 2 on one load, yes by now we had three such machines. The Cats were good, very reliable and they all had cabs but no heaters, I suppose that you can`t have everything. My 1968 Ford Cortina 1600e. Love at first sight. By my 21st birthday in 1968, I had saved enough to buy my first car. 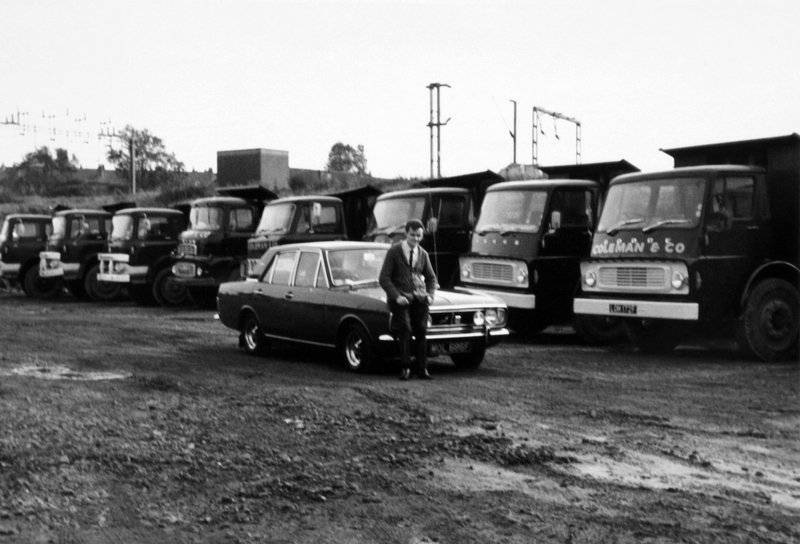 I became the proud owner of a Saluki Bronze Ford Cortina 1600E Reg. No. MOL 686F, it was my dream car, hard work certainly paid. I had many very happy times because of that car! My friend Malcolm Oliver, nephew of the founder of Edward Oliver Ltd Rowley Regis, owned a two litre Ford Corsair, we used race (never exceeding the speed limit – that would be illegal) my car was 1 M.P.H. slower than Malcolm`s car!!! To see details of our work at Birmingham New Street Station click here or if you’d like to see more pictures of me in my youth and how Coleman & Company has evolved over the years click here. This entry was posted in Family Business, Railway Projects. Bookmark the permalink.